February is National Age-Related Macular Degeneration Awareness Month, so it is only fitting to provide you with information regarding the condition. According to the National Eye Institute, age-related macular degeneration (AMD) is the leading cause of vision loss in those 50 years and older. 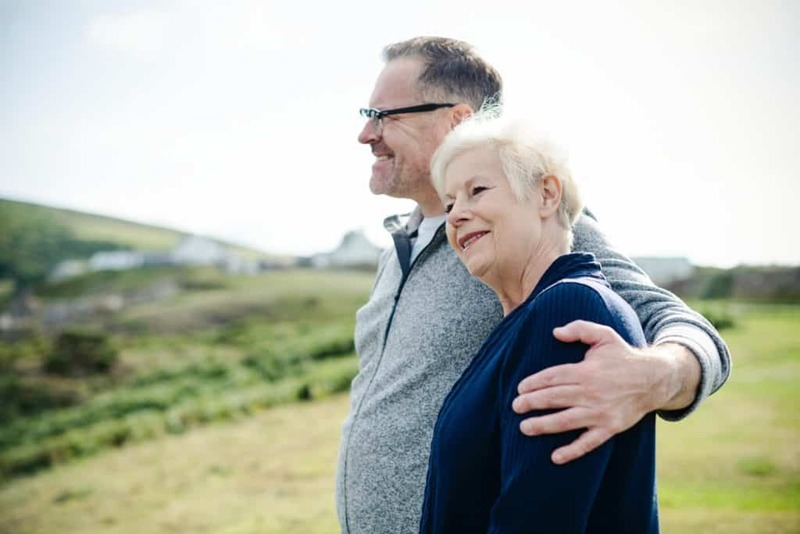 Newer technologies, such as the iWellness scan, are able to detect AMD at an earlier stage and are excellent tools for monitoring potential progression. As the name implies, age-related macular degeneration is degeneration of the macula, which is the part of the retina responsible for central vision. Therefore, the first symptom is usually blurred vision, and straight lines may appear wavy or distorted. As the condition progresses, central vision can be completely lost as if there is a dark or missing spot in the center of vision. Unfortunately, a majority of vision loss from AMD is permanent and cannot be restored with treatment. Sometimes AMD progresses very slowly, whereas other times it progresses quickly and aggressively. Anyone can develop AMD, however, there are certain risk factors that increase one’s risk of developing the condition. – The number one risk factor is age (it’s even in the name!). AMD can affect adults beginning around 50 years old, but is typically diagnosed in those over 60 years old. 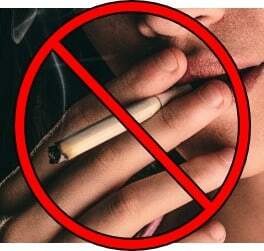 – Smoking doubles the risk of AMD. It’s also terrible for your overall health! – Caucasians and those with light-colored eyes are at a greater risk. The presence of pigment plays a protective role against harmful UV light. What are the two types of AMD? Dry macular degeneration is the most common form of AMD. The accumulation of retinal waste products, or drusen, causes progressive damage and leads to permanent atrophy of the macula. Drusen can cause blurred vision or distortion, while the atrophy is responsible for areas of missing vision. Wet macular degeneration is not nearly as common as the dry form. It is also called neovascular macular degeneration (neo = new, vascular = vessels), due to the presence of abnormal, new blood vessels that grow under the retina. The new vessels are weak and tend to leak fluid and blood. When this liquid enters the retina, it causes swelling and toxic damage to the macula. Wet AMD is usually more visually devastating in the long-term and progresses at a faster rate compared to dry AMD. In addition to the comprehensive dilated eye exam, there are other diagnostic tests that may be administered to determine the presence of AMD. Optical coherence tomography (OCT) is a type of technology, similar to an ultrasound, that gives detailed scans of the retinal layers and the space below the retina where bleeding from wet AMD originates. The use of OCT has greatly improved the ability to detect AMD at an earlier stage. Both of the pictures below were taken using the iWellness scan. The severity of AMD is based on the amount/size of drusen, presence of active bleeding below the retina, and degree of vision loss. There are little to no symptoms in the early stages of AMD, which is why routine eye exams are so important. The iWellness retinal screening tool utilizes the same technology as an OCT, which allows us to closely monitor any changes to your macula during your annual exam. If your doctor is concerned that you may have macular degeneration, you will be given an Amsler grid to take home with you. Distorted or missing lines on the grid may be an indicator of changes to the macula, which would require another OCT scan and possible treatment. Self-monitoring on a weekly basis is important in catching the progression of dry to wet AMD. 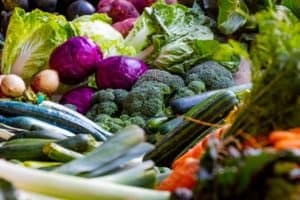 The Age-Related Eye Disease Studies (AREDS) have shown that daily intake of the AREDS 2 formulation of vitamins and minerals can slow the progression of dry AMD once in the intermediate stage. There are many “eye supplements” on the market, but the AREDS composition is the only one that was tested during the studies. The original AREDS formulation contained beta-carotene, but was later replaced with lutein and zeaxanthin based on overall effectiveness and safety for those with a history of smoking. High doses of vitamin C, vitamin E, zinc, lutein, zeaxanthin, and copper are in the AREDS 2 formulation. If you have any questions regarding whether or not you should be taking an AREDS supplement, please see one of our doctors to discuss appropriate treatment. The most common form of treatment for wet AMD is a series of medicated injections into the eye. The medication blocks the growth of new blood vessels in hopes of decreasing the amount of bleeding under the retina. Injections are completed every couple of weeks, then spaced out further according to the retina’s response to the drug. Other less common treatments include photodynamic therapy (cold laser) and laser surgery (hot laser) to destroy the new vessel growth.